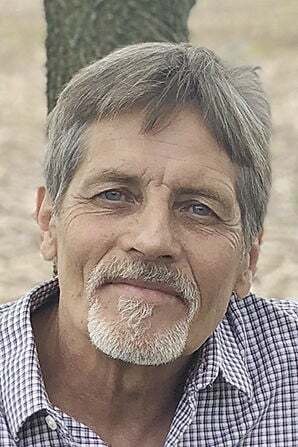 Lane Jay Knudtson, 61 of Brownsburg, Indiana (formerly of DeForest) died on April 6, 2019. He was born on April 8, 1957 to Dean and Carol Knudtson. His father preceded him in death. Lane graduated from DeForest High School Class of 1975. Together with his father, he owned and operated Tree Trimmers Ltd. and was proud to say that he worked on the grounds of the Wisconsin State Capitol and the Governor’s Mansion. He was also proud to have designed and built his own log home in Rio. He had a love for all things outdoors, especially opening day of hunting season. He also loved fishing, boating, and camping (even if it was once in a teepee in his parents’ backyard). He will be remembered as a talented and inquisitive man who loved life, never met a stranger, could fix anything, knew something about everything, and helped anyone who asked. Lane is survived by his mother, Carol; daughter, Hannah Telfer and son-in-law, Drew; grandchildren, Kendall, Landon, and Brynn; sister, Kris Hill, and brother-in-law Tony, and their children Delaney, Dawson, and Keldon. Visitation will Sunday, April 14 from 4pm-5pm at Christ Lutheran Church in DeForest with a memorial service beginning at 5 pm. An open house will be held for Indiana friends and family at Dawson’s Too in Brownsburg, Indiana on Sunday, April 28 from 1-4 p.m.